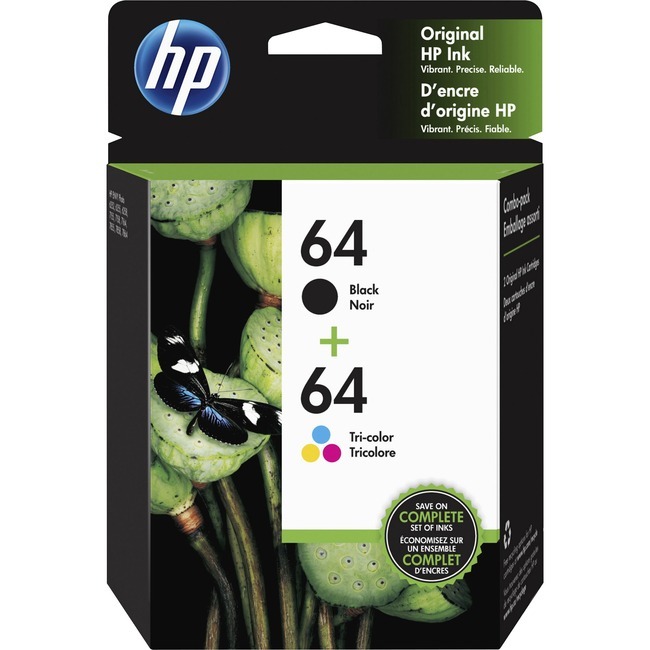 ManufacturerHP Inc.Manufacturer Part NumberX4D92AN#140Manufacturer Website Addresshttp://www.hp.comBrand NameHPProduct Model64Product Name64 Ink CartridgeMarketing InformationCreate lab-quality color photos and everyday documents with these Original HP ink cartridges. Ensure that your printing is right the first time and every time in your HP ENVY 4520 Photo 6255, 7155 and 7855 All-in-One Printers. These cartridges are designed with fraud protection and smart low-ink alerts to deliver worry-free performance and consistent results you can count on. Produce laser-quality documents with crisp text and sharp graphics that can make an impact and last for decades. Ink cartridges deliver easy mobile printing. The black cartridge yields up to 200 pages. The tri-color cartridge yields up to 165 pages.